VietNamNet Bridge – In the afternoon on July 27, Zhou Xun posed in two carriages at the Hanoi Railway Station for advertisements. She will take photos at some places in Hanoi this morning, July 28, and return to China on July 29. July 27th 2009, Zhou Xun took photos at the Hanoi Railway Station from 10 a.m to 6 p.m.
Four cars took Zhou Xun to the Hanoi Railway Station, among them, there were three similar ones. It was difficult for paparazzi to guess which car Zhou Xun stayed in. 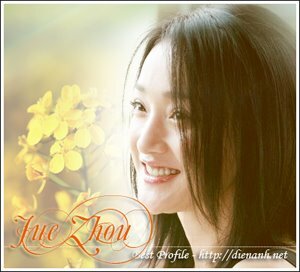 A staff of the station said that Zhou Xun's team hired the international through traffic room to rest. However, just staffs stayed in the room, Zhou Xun relaxed in a luxurious carriage which was special used as background for photos. Inside of the carriage was full of conveniences, like a small room in a hotel. "Zhou Xun looks more beautiful than on TV" said a safeguard of the station after closely seeing the star in "Tangerines have ripen". "She is so beautiful", said most of station staffs. It was reported tomorrow (aka July 28th) Zhou Xun would take photos in some other places in Hanoi. She would return China on July 29th.